The biggest and best Jazz Festival is returning to Derry this May Bank Holiday weekend, 2nd – 6th May 2019. 70 venues will be opening their doors to over 200 performers from May 2nd–6th for the North West’s biggest music festival. Ballydehob “The Little Village with the Festive Heart” has officially been launched this week at a jam packed Crane Lane Theatre. 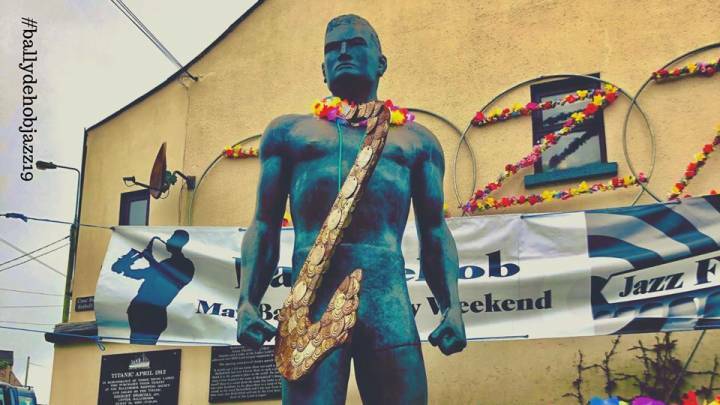 The Ballydehob Jazz Festival rolls out another outstanding programme featuring International Concert Headliners, Irish Supremos, a Live Music Trail all Weekend, Dance and Art Workshops, & the return of the Giant Puppets in the New Orleans Jazz Funeral Parade!! This years Festival, now in its 13th year, and entirely community driven is bigger and even bolder - over 50 Performances, 4 Days, 11 Venues… all in one gorgeous West Cork Village.